SILICON VILLAGE: Godrej Consumer Ltd Announces its Financial Results for the Quarter Ended March 31, 2018. Godrej Consumer Ltd Announces its Financial Results for the Quarter Ended March 31, 2018. Commenting on the financial performance of 4Q FY 2018, Nisaba Godrej, Executive Chairperson, GCPL, said: “During fiscal year 2018, our focused strategy and balanced portfolio enabled us to deliver competitive, profitable growth, despite tough operating conditions in a few of our categories and geographies. Our constant currency sales increased by 9%* and EBITDA increased by 12%, led by robust gross margin expansion. We continue to make healthy investments in strengthening our brands and enhancing our capabilities for sustainable future growth. In the fourth quarter of fiscal year 2018, we had a mixed performance with relatively softer sales growth, while sustaining robust EBITDA growth. Our India business delivered a competitive 7% comparable growth, driven by a volume growth of 6%. Our secondary sales growth was higher at 10%. The performance in our international portfolio was relatively muted due to the weakness in Indonesia and Africa. However, we expect to see a strong turnaround in growth rates in fiscal year 2019. We are planning for significant new launches and go-to-market initiatives across clusters. Overall, we are confident of delivering a stronger performance in fiscal year 2019. Household Insecticides had a subdued quarter with a sales decline of 5%* due to an adverse season in January-February 2018. However, our average growth rates are back to double digits for March-April 2018. Our recent launch in Personal Repellents is scaling up well, with double-digit market share in out of home segment. Towards the end of the quarter, we also launched a higher efficacy liquid vapouriser under the Goodknight brand. Soaps continued its strong, double-digit growth momentum and delivered a growth of 19%*. This was led by strong double-digit volume growth. This robust growth was driven by effective micro-marketing initiatives, variants-led strategy and strong on-ground execution. 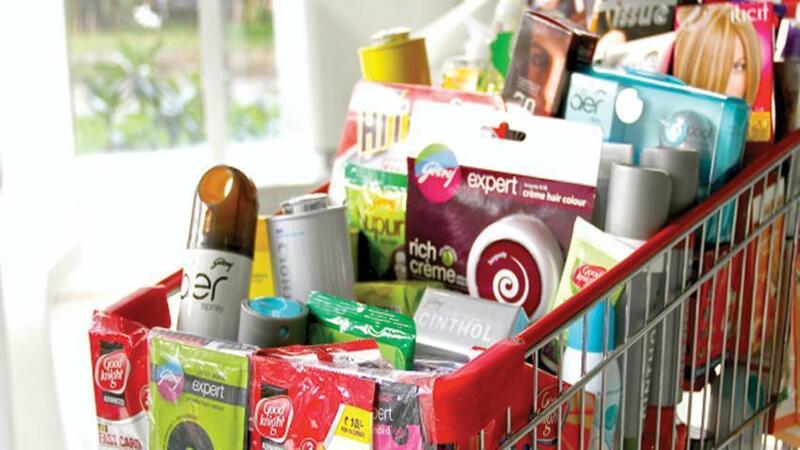 It was supported by healthy brand investments driving growth in Godrej No. 1 and Cinthol. We have also continued to gain market share during the quarter. Our Hair Colours business grew by 3%, following 33% growth in 3QFY18, driven by channel up-stocking post GST led MRP cuts. However, sales growth in 2HFY18 stood at 18%. Godrej Expert Rich Crème continues to improve penetration and gain market share. Godrej aer continues to maintain its leadership position in the overall Air Care market and gain share, aided by innovations and strong execution. Our Indonesia business sustained its robust margin expansion and regained all lost market share in Household Insecticides, with exit market share of over 50%. Constant currency sales declined by 6% during the quarter. Our growth was partially impacted by inventory reduction with key modern retail channel partners. The recently launched premium range of Hit Expert is receiving encouraging traction. Our adjusted EBITDA margin increased by 370 bps, despite higher A&P investments (up 160 bps year-on-year). This was led by rationalised trade promotion spends and Project PI (a cost savings initiative). Our Africa, USA and Middle East business had a relatively weak quarter with constant currency sales growth of 7% led entirely by volume. Sales in the quarter was impacted by continuing sluggishness in Kenya; the business excluding Kenya grew in double-digits in constant currency terms. Our adjusted EBITDA margin declined by 400 bps year-on-year due to scale de-leverage and upfront investments to scale up the business. We saw a recovery in performance in our Latin America business with 28% constant currency sales growth. Our adjusted EBITDA margin declined by 270 bps year-on-year due to an increase in marketing and sales promotion investments. Our Europe business delivered a healthy sales growth of 11% in constant currency terms. The performance was led by strong growth in our own brands. Our adjusted EBITDA margin declined by 230 bps year-on-year due to a one-time reversal of A&P provisions in the base quarter.